This is an ebook about moves, card moves to be precise. If you are already familiar with the basics of card magic then you will find here a lot of advanced moves and concepts to significantly improve your magic. 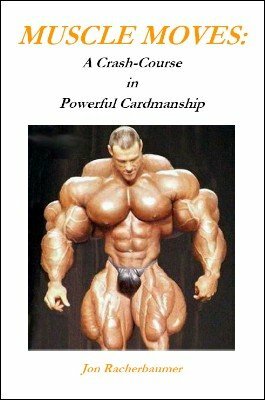 If you are an experienced veteran of card magic you will probably still find some moves you are unfamiliar with. It is also a great reference ebook to have in case you run one day into any of these moves. The moves are described in text and photos with references and sources in the usually meticulous Racherbaumer style. 1st edition 2009; 169 pages.